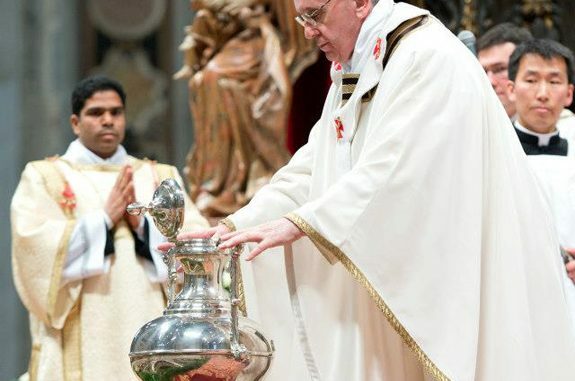 Today Pope Francis celebrated the Holy Thursday Chrism Mass at St. Peter’s Basilica in Rome, during which holy oils to be used in the sacraments throughout the year were blessed. Later today he will celebrate the Mass of the Lord’s Supper at the Casal del Marmo Penitential Institute for Minors. 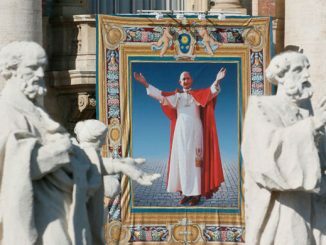 Below, translated by Vatican Radio, is the full text of the Holy Father’s Homily from the Chrism Mass, which also includes a renewal of the priestly vows of poverty, chastity, and obedience.